Artizan Fudge is the unbeatable combination of incredible flavour with a beautifully soft texture that simply melts-in the mouth. 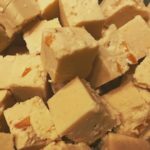 Our fudge is much smoother and creamier than traditional tablet fudge which has an extended shelf-life but a hard, and grainy texture. We only use the most natural and highest quality available. All of our products are made without using any preservatives or chemical flavour additives which would compromise the unique taste and texture. 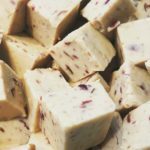 As of 2018 we have 20 unique delicious fudge flavours which range from classics such as ‘Coffee’ and ‘Vanilla’ to our own concoctions such as ‘Earl Grey’ and ‘Chai’ We are based in Muswell Hill and are proud to say we have been supplying WMartyn with our fudge since our beginning in 2016. All of our products are suitable for vegetarians and are gluten free. We have 4 flavours containing alcohol and 4 containing nuts. The shelf-life of fudge varies from flavour, ranging from 30-40 days. Fudge should be kept refrigerated or a cool dry storage space away from direct sunlight.